Chamber President CEO, Ron Rose, was among the 45 Treasure Coast government and business leaders who attended the 2017 Research Coast Legislative Conference in Tallahassee last month. For over 30 years, Chambers of Commerce from Indian River, St. Lucie, and Martin counties have planned and facilitated the three-day conference. The group met with State officials and legislators about issues of importance to the Treasure Coast. Among the top legislative priorities for all three counties is the health and restoration of the Indian River Lagoon. 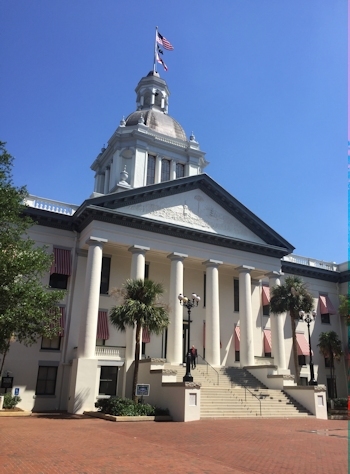 Other top priorities include tourism marketing and economic development initiatives and bills introduced this session regarding the future of Enterprise Florida and Visit Florida as well as Workers Compensation rates. Another top priority is the cost to local governments in regard to safety measures for high speed rail proposed to run through the communities along the three county area and saving the Community Redevelopment Agencies. Drew Bartlett, Deputy Secretary of the Florida Department of Environmental Protection spoke to attendees about the Indian River Lagoon as well as the Governor’s budget for the Lagoon, St. Lucie River and Everglades projects. Mat Forrest, lobbyist for Florida Association of Destination Marketing Organizations discussed concerns about the future budget of Visit Florida. Cissy Proctor Director of the Florida Department of Economic Opportunity spoke about the state’s business climate and Florida’s position as a business attractor and new job creator. The group also met with Senate President Joe Negron, Senate Appropriations Chair Jack Latvala, and State Senator Debbie Mayfield. The attendees also met with Representatives Erin Grall, Gayle Harrell, Larry Lee, and MaryLynn Magar. “Our chamber coalition brings together the regions business community, and provides an opportunity for our business and government leaders to get to know one another regardless of county boundaries. We believe coming together on issues of importance in our communities will help our region grow and thrive” stated Penny Chandler, 2017 conference coordinator. The dates for the 2018 conference are February 6-8 and will be coordinated by Joe Catrambone, President CEO of the Stuart Martin County Chamber of Commerce. 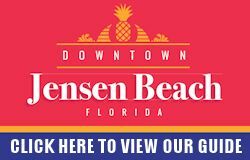 Businesses joining the Jensen Beach Chamber are invited to attend one of our complimentary new member breakfasts held throughout the year. 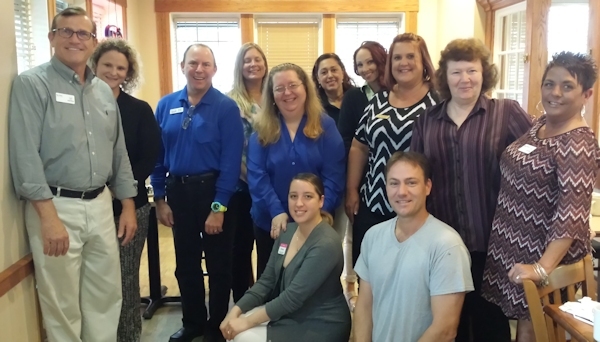 Hosted by Geico Local Office, the new member breakfasts are held at The Original Pancake House in Jensen Beach. During the event staff welcomes the new members to the Chamber and reviews the many membership benefits and opportunities offered. The next new member breakfast will be held Wednesday, June 21. 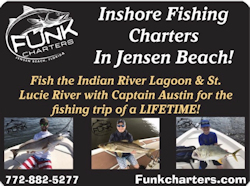 For information on Chamber events or joining the Chamber, please call (772) 334-3444. (left to right) Ron Rose, Chamber President/CEO l Breakfast Sponsor: Misty Moody, Geico Local Office l Mark Sandler, Painting with a Twist l Lynnly Miller, Animal Medical Hospital l Sami Mohr and Christy Backus, T-Mobile l Lisa Tufo and Michele Backus, Cruise Planners l Michelle McCode, Valencia Insurance l Derek & Linda Clobes, Sailfish Flooring l Angela Martin, Jensen Beach Chamber Member Services. Junior Achievement of the Palm Beaches & Treasure Coast would like to thank the Jensen Beach Chamber of Commerce Education Committee. Junior Achievement is a local non-profit organization that focuses on Financial Literacy, Work Readiness, and Entrepreneurship. We work to bring volunteer led programs to schools to teach these three key topics. With the outstanding support of the Chamber’s Education Committee, Junior Achievement has been able to provide programming to nearly 1,000 students in Jensen Beach area schools during the 2016-2017 school year. Through the Education Committee, I have has made valuable connections with school administrators, school board officials and business and community leaders. These remarkable individuals are the ones who make it possible for Junior Achievement to empower young people to own their economic success. Monday, March 20, Keiser University moved into a new 80,000 square-foot classroom building located in Tradition, Florida. There are currently 18 Keiser University locations. Keiser University focuses on career-oriented programs that appeal to older working students. The school offers a variety of programs including business, chiropractic medicine, education, fire science, nursing, general studies and more. The new campus is located on Discovery Way, next to Tradition Medical Center. It accommodates more than 1,200 students which is double the capacity of the former Port St. Lucie location. Keiser University offers students associate, bachelor and graduate degree programs. For more information about the school visit www.keiseruniversity.edu. After Hours Mix & Mingle – RSVP NOW! Member Luncheon – RSVP NOW! Presented by: The Entrepreneurship Foundation. Student concerts, art show and auction fundraiser supporting the arts and music programs in local schools. 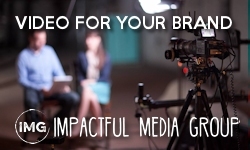 Click Here For The Area’s #1 Business Directory!